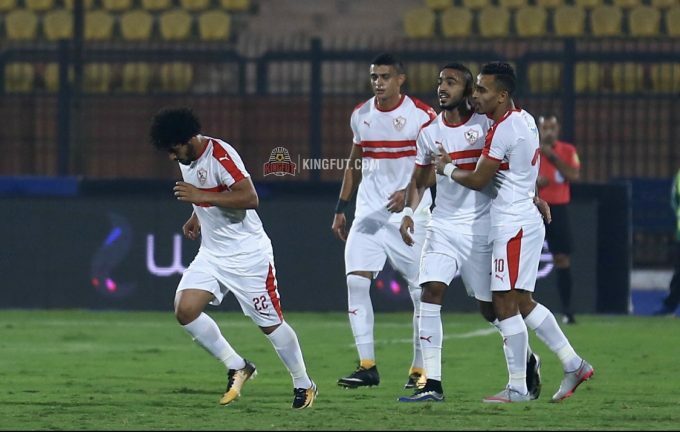 Zamalek manager Christian Groos has announced the club’s squad that will feature in the clash against Pyramids in the ninth round of the Egyptian Premier League. The Whites will host Pyramids FC in a top of the table clash at Petrosport on Thursday, January 24, with the game being officiated by Italian referee Gianluca Rocchi. The squad witnessed the presence of Zamalek’s newest signing Khaled Boutaib, who arrived this January from Turkish side Maltyaspor. On the other hand, Groos has decided to exclude Mahmoud Hamdy and Ayman Hefny for technical reasons, in addition to the absence of Mahmoud Gennesh and Youssef Obama for suspension. Goalkeepers: Emad El-Sayed, Omar Salah. Defenders: Hamdy Neguez, Hazem Emam, Mahmoud Alaa, Mohamed Abdel-Ghany, Mohamed Abdel-Salam, Baha’a Magdi, Abdallah Gomaa. Midfielders: Tarik Hamed, Mahmoud Abdel-Aziz, Fergani Sassi, Mahmoud Kahraba, Mohamed Hassan, Mohamed Ibrahim, Mohamed Antar, Moustafa Fathi. Forwards: Omar El-Said, Hamid Hadad, Khaled Boutaib.